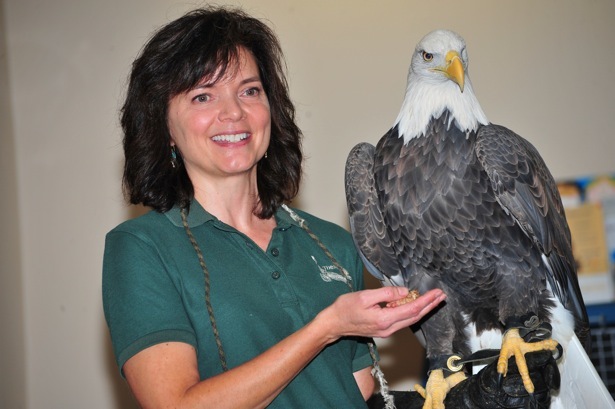 The Raptor Center was very proud recently to appear at the Shriner's Hospital for Children's Costume Party. 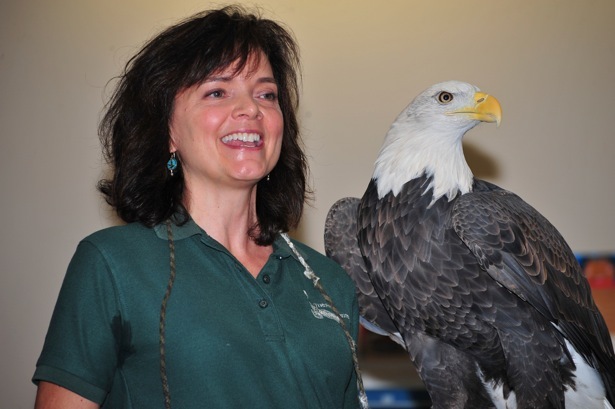 Judy Moran brought Bud the bald eagle, Juneau the peregrine falcon, Lois the great horned owl and Jack the American kestrel to visit with patients and their parents. This appearance was made possible by the winner of our online auction last year; The Raptor Center agreed to come out to the winning bidder's location, and the winning bidder donated this appearance to the Shriner's Hospital. 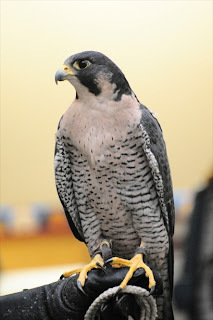 Keep watching our blog and Facebook for information on our 2012 online auction, to be held December 4-12. Judy Moran and Bud listen intently to a patient. We want to thank Katherine Vogel for her permission to use these photos. 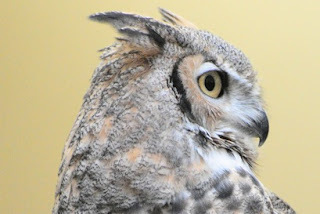 Lois the great horned owl.